There are thousands of ways to build an online business. Unluckily, most of them require some expert knowledge, coding skills and significant investment, not mentioning it takes a long time until your business starts to bring you substantial revenue.. and still there’s a chance it will fail to do so. Still, there is an industry and a solution that doesn’t carry the biggest downsides we’ve just mentioned and may be the perfect way for beginner enterpreneurs, but at the same time will be a great addition to the portfolio of the experienced ones. To make a long story short, what you need is an open lottery platform. We’re pretty sure you’ve heard about the popularity of the world’s biggest lotteries like Powerball or Mega Millions. This is the industry we’ll present you. Literally millions of people all over the globe play lotteries on a daily basis, attracted by the huge main prizes, reaching several hundred million dollars. Only during the last year players all around the world have spent more than $279 billion on tickets. Just imagine the profits lotteries make. At first it may sound pretty unrealistic, but you can become a part of this highly rewarding industry if you decide to run a website using an open lottery platform. May seem complicated, but as we have said before, there’s a simple way of getting past that and you won’t need to hire a team of coders and designers to set up your site. 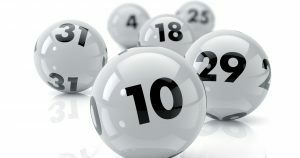 An open lottery platform provided by WhiteLotto is a complete package which may be deployed in matter of days so you could start your businnes right away. In fact, all you need to do is think about your domain name. Our solution will give you everything you need to start earning. WhiteLotto’s open platform packs all the components and features required to bring your users a unique online lottery experience. The website will be completely unique and will have an attractive look combined with a user-friendly interface. 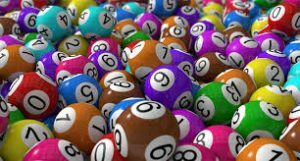 Your players will be given a great selection of lotteries to choose from: Powerball, Mega Millions, Euro Millions to name a few most popular ones, but also local ones like SuperEnalotto or UK Lottery. Thanks to the technology we have developed, yuour website using our open lotto platform will give you a set of the best tools to boost your sales. Easy to use and effitient customer relation management, analytics, marketing tools – it’s all there. What if somebody wins? It’s even better as it will make a great buzz about your website, but thanks to the insurance model, you won’t have to be the one to bare the cost of the prize. Are your ready to open platform? With our open lottery platform you are ready to global from the very start, as it has been translated in more than 30 languages, so you can expand your reach to all these markets. We have also implemented the support of multiple payment methods available for your customers, including local ones. An open lottery platform will also give you the possibility of a seamless integration with external systems like marketing automation, email marketing and many others. Besides of providing you with a lottery ticket selling website using an open lotto platform packed with great features, a dedicated support manager will be there for you 24/7 to share our vast knowledge of the industry, gathered throughout the years. We would like to build a mutually benefitial cooperation with you, creating a win-win situation. Our open lottery platform is a chance for you to become a new brand on the multi-billion market. Contact us now!